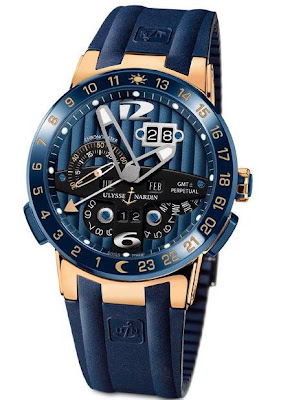 Blue Toro from Ulysse Nardin is a COSC certified high tech perpetual calendar with a dual time function and the legendary UN-32 in-house self-winding movement. It’s the only perpetual calendar that adjusts forward and backward in seconds over the quick corrector position of a single crown, even in the year 2100. 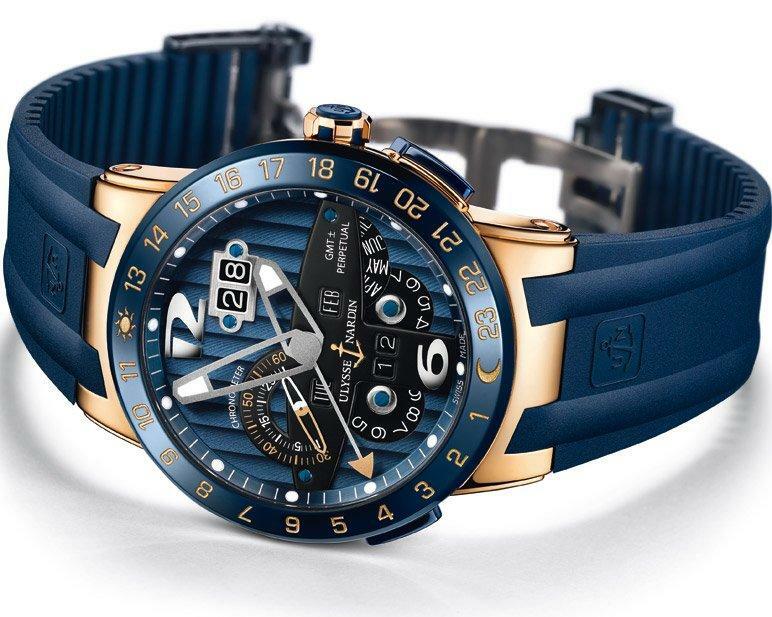 The movement is automatically charged by means of a 22k gold rotor which allows for up to 45 hours of power reserve. The hour hand is adjusted instantly to a new local time with pushers (+) or (-) without taking the watch off the wrist or interfering with its time keeping. The bezel and pushers are made of ceramic. The arrow keeps track of either your home or reference time while the hands allow for easy reading of all calendar functions. Turn the watch over and the sapphire caseback provides an intriguing glimpse at the mechanics of time. 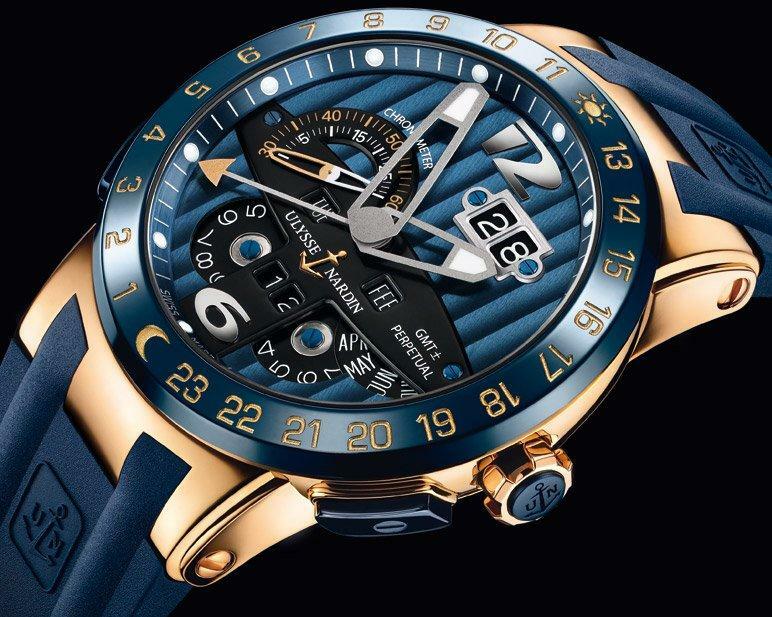 The blue dial features an oversized date, and the day, the month and the year change instantly forward or backward when the hour hand is moved to a new local time across the dateline again with the (+) or (-) pushers. The watch combines modern materials with a timeless eye catching dial design. Limited to just 99 pieces, Blue Toro Limited Edition is available only in Ulysse Nardin Boutiques. Winding: Self-winding with COSC certificate. Functions: Perpetual Calendar adjustable over single crown. 2nd Time zone on main dial with a patented quick setting mechanism. Permanent home time indicated by 3rd hand. Big date in double window.